Need To Replace My Air Conditioner and Furnace at the Same Time? Everyone agrees anytime you have to Replace your Air Conditioning and heating system it can get expensive quickly. But most consumers don’t know that if they replace the heating and air-conditioning system at the same time, it can save them money. A lot of money! Not only that, it will also save you from the frustration and aggravation of getting a new air-conditioning system that doesn’t work as efficiently as you expect. 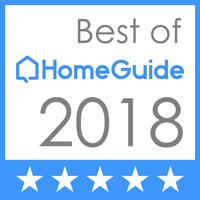 Below we are going to go into why replacing your air conditioning and furnace at the same time, in other words, installing a matched system is both smart and cost-efficient. Why your furnace and air conditioner are a needed pair. In a way your Air Conditioner and furnace is like a mated pair — separate units that are combined together and share many of the same system. The mated pair have parts that fit together in an efficient way. So separating them can cause problems. In many ways the same can be said about your heating and air-conditioning system. Because they are made to fit together in a very particular way to complement each other. Just think about it, they share the same air handler, blower and duct system. Let’s expand on this for a moment, let’s look at your air-conditioning system as a whole. Go take a look at your indoor part of your unit, you’ll find your furnace shares the same air handler/blower as your air conditioner and they can’t be separated. 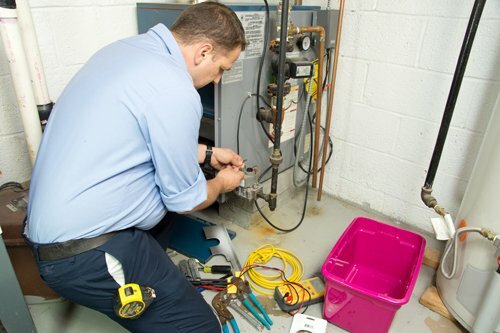 You must replace the furnace to also replace the inside air conditioner unit. So if you only want to replace the air conditioner, but not the furnace, that means you can only replace the outdoor unit while leaving the old indoor unit in place. Doing this creates problems that can get very costly quickly. Lower efficiency — a miss matched system will cause inefficiencies that will cost you money. Even if your new outdoor unit is 18 SEER, the old unit (probably an 8-10 SEER unit) causes the system to lag behind, keeping your energy bills just as high as they were before, and there goes your savings. Premature breakdowns – a mismatched system puts undue stress on your air conditioner components, giving you a unnecessary premature breakdown. Possibility of no warranty – did you know that the Manufacturers in most cases won’t even give a warranty on the unit because they know the problems that come with a mismatched system. Minimize installation costs . You’ll also have to take into consideration how much money you can be spending on installation, which can significantly increase the price of your system. Did you know it takes longer to match up the old unit to the new unit than it does to replace the whole thing with the new unit, in most cases? So replacing the outside unit, waiting a few years, and then having another contractor come out to install the furnace and inside air conditioner unit can be pricy. Because of that, replacing the Ffurnace and air conditioner at the same time helps lower the overall cost of installation. In the end, the decision is yours and we’ll support whichever you decide to go with. But we do strongly suggest getting a matched system to maximize your system’s efficiency, reduce your energy bills and extend the life of your new system.